Dies R Us: My "Bliss"
Hi everyone! Vicki here sharing inspiration to start your week. Today I have a 12 x 12 page layout for you. Our youngest daughter recently had some family photos taken and the daddy-daughter one is a favorite of mine! It was perfect for my new Sizzix BigZ "Bliss" die cut. I used two die cuts on this layout. 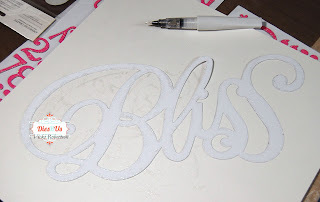 The "Bliss" is a Sizzix BigZ die by Brenda Walton. 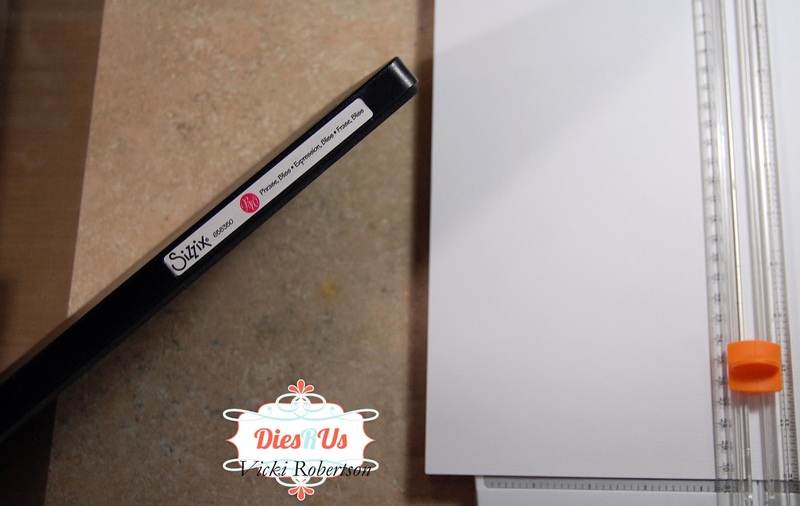 It is large enough to fill this 12 x 12 paper and requires the extra long cutting plates for your die cutting machine. I used my Sizzix Big Shot Plus and the plates were long enough, but I also have a set of the extra long ones that go with my Big Shot. The photo corner heart is Yvonne Creations. Here you can see how large the die cut word is. It requires a 6" x 12" piece of paper. I added clear Wink of Stella along the edges of the word to give it a little sparkle. What a sweet scrap page! OMG what an adorable photo and you've showcased it perfectly with these dies on your scrapbook page! A sweet memory for the ages! Well done! absolutely precious pic and a great layout to go with it! Lovely layout to capture precious and treasured memories. Beautiful!